One of our favorite smart lighting systems can now control fans, too. Sure, you could replace your existing ceiling fan with a smart model, so you can control it with your smartphone, or—better yet—a smart speaker, but Lutron might have a better idea: Just replace the switch that controls the ceiling fan. 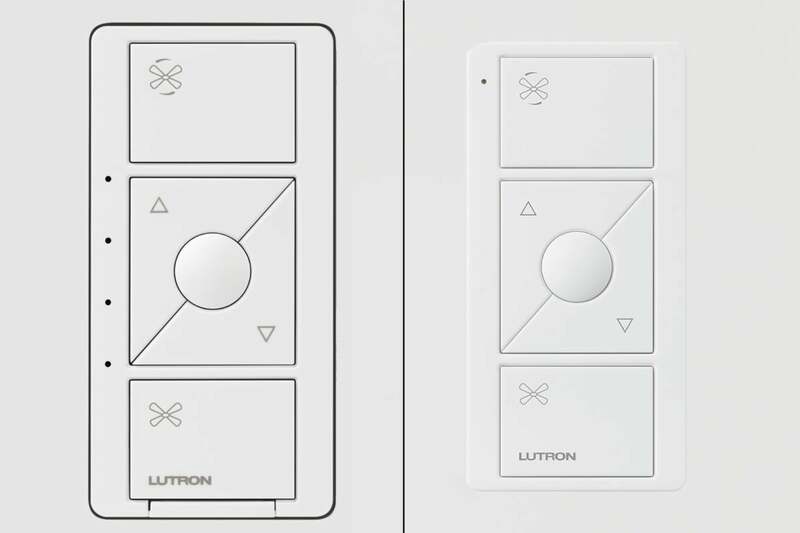 Lutron already has one of our favorite smart lighting controls in its Lutron Caséta product line, which can also manage motorized shades and even smart thermostats. Now the company is adding a smart ceiling fan controller to its collection. The Caséta by Lutron Fan Speed Control replaces your existing in-wall ceiling fan switch and features five buttons that turn the fan on and off, adjust the speed at which it spins by four levels, and memorize your favorite speed on a dedicated button. 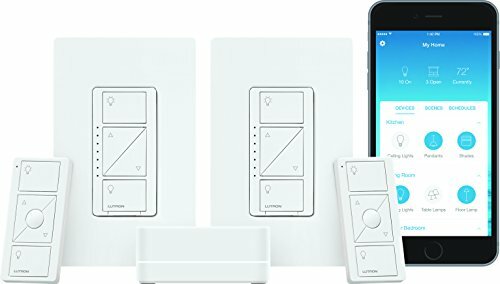 In addition to the in-wall control (which requires the presence of a neutral wire), Lutron will offer a compatible battery-powered Pico remote that you can keep on an end table in the living room or a nightstand in the bedroom. The RF remote has range of 30 feet and a 10-year battery life. Once installed—Lutron says it’s a “15-minute project”—the controller can be incorporated into the same app that’s used to control Caséta lighting controls and Serena motorized window shades. You’ll need Lutron’s smart bridge, which you’ll already have if you’ve installed previous Caséta products. Once you’ve done that, you can also control the fan with Amazon Alexa or Google Assistant, program the controller to operate the fan on a schedule, or incorporate fan operations into scenes that include Caséta smart lighting and Serena shades. A “goodnight” scene, for example, could turn off the lights, lower the shades, and set the fan spinning at a memorized speed. Lutron says the Caséta by Lutron Fan Speed Control and Pico remote will be available in March, with a suggested retail price of $80 and $42, respectively. This story, "Lutron adds a smart ceiling fan controller to the Caséta line" was originally published by TechHive.